It seems that everyone is talking about the entertainment possibilities of Virtual Reality, with new games and virtual experiences launching almost every week. VR has become a fixture at every gaming expo and tech conference, with content flooding the market even before we have reliable technical standards. While admittedly still in its infancy, VR technology has capabilities and implications that far exceed the current applications, with tremendous potential for mining in particular. There are currently a myriad of different VR devices on the market, using different systems and standards, but all ultimately achieving the same end. Put simply, virtual reality immerses the user in a digital environment enabling them to see, hear, and in some cases touch and interact with the environments. These technologies are continually improving, creating ever-richer virtual experiences, and the cost of implementation is steadily decreasing. At IMEC, we anticipate that VR applications will have a tremendous impact on the mining industry. As part of our Perth office expansion we’ve established a VR Mining Hub, a space where mining clients can interact with their virtual assets in a safe, efficient virtual way. If you’re wondering how VR can impact on your project or mine site , here are some areas where you could utilise VR. While 3D software such as Navisworks are great for planning and visualizing mine infrasture design, the ability to use VR to create an immersive simulation will revolutionize the design review process for engineered projects. The design team, the client & even the construction crew will be able to collectively inspect the proposed design from all angles, to scale and in place, before a slab is poured or steel is cut. Immersing all stakeholders into the model simultaneously will allow teams to proactively anticipate challenges, explore scenarios, and easily communicate and coordinate changes. 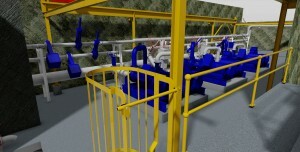 VR will help to control costs by minimizing error and overages, and simplify the inspection and approval process. Safety is always of primary importance in the mining industry, and VR technology will greatly impact risk assessment. HAZOP and HAZID assessments can be completed in the virtual environment, at differing scales and levels of detail, with the entire team sharing the experience. 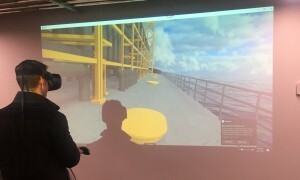 VR makes it easy to visualise (or even simulate) different scenarios and their implications, allowing for comprehensive safety assessments at the design phase. Conducting thorough, immersive, practical hazard studies in virtual reality not only improves safety in practice, it also controls costs by allowing adjustments and changes to be made early in the design phase, before any real-world implementation has begun. Human factors are often the most difficult to control, and have enormous impact on cost and safety in a mine. VR technology will allow employees to be trained, retrained, or reviewed in controlled conditions with immediate, high-quality feedback. 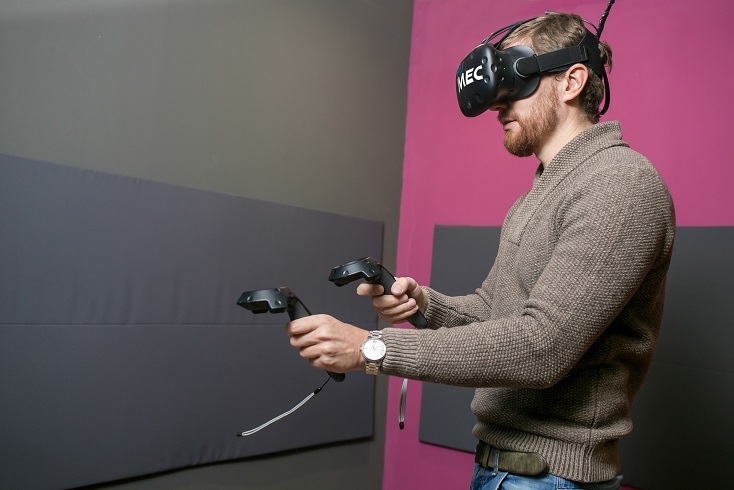 Training in VR engages a greater percentage of the brain than written or verbal instruction, teaching muscle memory along with neural imprinting for maximum retention and effectiveness. With VR, trainers can simulate different mines, tasks, or scenarios, making the training as close to real-world as possible, with none of the hazards or distractions. VR applications will revolutionize emergency response in the mining industry. Within the safety of the virtual environment, different emergency scenarios can be simulated and prepared for, and plans developed and rehearsed. Just like training in a VR scenario, its possible to imprint the required emergency response to a scenario neurologically, giving greater response times. Response teams can prepare for any situation using VR to develop, rehearse, and inform an Emergency Response Plan will save time, money, and potentially even lives. The mining industry is currently undergoing a tremendous shift as new innovations & technologies disrupt the status quo. Mining companies are constantly finding new ways to incorporate the latest technology to improve safety, save time, and reduce cost. Virtual reality is the latest game-changer that will be shaping the way mines are designed, built, and operated in the coming decades. IMEC is excited to be at the forefront of these groundbreaking applications, and eager to explore all the advantages VR will bring to the industry and to our clients. Interested in IMEC’s upcoming VR event? Sign up here.